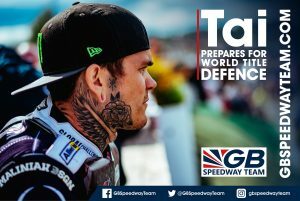 Great Britain Speedway Team Captain Tai Woffinden has been soaking up the sun this Winter – but admits he’s looking forward to beginning his assault on World Title number four. 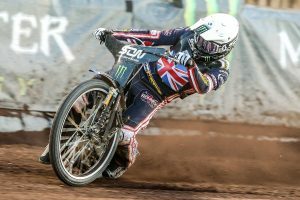 Woffinden has spent the winter months in Australia with his family after a long season that saw him claim his third Speedway World Championship title – a British record – but he has been working hard behind closed doors as he aims to retain it this year. Tai has been working from a training programme devised by GB Speedway Team staff and, while he’s keen to keep his cards close to his chest, says that he plans to be in the best shape of his career. Speaking exclusively to GBSpeedwayTeam.com, Woffy said: “I’ve been cruising really, just enjoying the time off but obviously I’ve stayed healthy, I’ve been working hard and when the time comes I know I’ll be ready. I won’t be telling any secrets of exactly what we’ve been doing but when the season starts, I’ll be in the best shape possible. “I’ve been catching up with family and friends and spending loads of time with the girls (wife Faye and daughter Rylee) which has been really nice. The Scunthorpe-born star is headed back to Britain at the end of February to up his preparations, while he’s also embarking on a UK tour with BT Sport Speedway presenter Nigel Pearson too. “We’ve got a few more weeks in Australia and then we’re back, obviously I’ve got a few tour dates with Nigel that I’m looking forward to and it will be great to go and meet some of the fans who support me all the time,” he said. “I like doing these events, it’s cool to meet up with the people who support me year in, year out and to have a bit of fun, but I’ll be getting my head down and working even harder when I get back so I’m 100% ready by the time of the first GP.